Workshop Date: Saturday May 9: 9:30 A.M.-5:00 P.M.
CE Units: 6 CE units for Psychologists, LPPC’s, and MFTs. Workshop Fee: $105 until May 2, 2015. May 2-9: $120. Class size limited to 12. Location: 2665 Marine Way, Conference Rm, Mountain View. This workshop is for clinicians and group therapists to increase the understanding of how group psychotherapy works and the essential issues in leading a group. This will be a didactic and experiential workshop. Demonstration group participation is voluntary and confidential. This workshop is for clinicians and group therapists who wish to learn more about the important clinical issues and dilemmas of group psychotherapy with an emphasis on the Yalom approach. The workshop will address clinical issues in diverse settings including agency, inpatient, PHP, and private practice settings. This is a didactic and experiential workshop. Experiential group participation is voluntary. Utilize methods for starting a psychotherapy group or a psychoeducational group in diverse settings. Compare the use of different types of psychotherapy groups in diverse settings. Apply methods for handling clinical dilemmas which arise in psychotherapy groups. Create strategies for maximizing the therapeutic factors and benefits of group psychotherapy thus increasing the benefits of group psychotherapy for consumers. Select therapeutic norms for psychotherapy and psychoeducational groups. CSGP is approved by the California Psychological Association to provide continuing professional education for psychologists as well as MFTs, LPPC’s, and LCSWs. CSGP maintains responsibility for this program and its content. Provider No. PCE5391. For further info: CSGP.org. 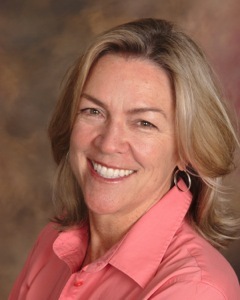 Nancy Wesson, Ph.D. C.G.P. Founder and president of CSGP. Licensed Psychologist:Psy 9621. 25 years of experience leading groups and 15 years of experience teaching group therapy courses. Trained by Dr. Irvin Yalom and the American Group Psychotherapy Association. 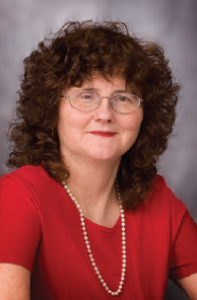 Nancy L. Morgan, MS, PhD, DCC who is a licensed psychologist, trainer, and clinical supervisor experienced in facilitating groups in residential, partial hospitalization, and intensive outpatient settings. Dr. Morgan has been a featured panelist and speaker on diversity, gender, and civil rights issues. CE Units: 6 CE units for Licensed Psychologists, LPPC’s, and MFTs. Registration: CSGP.org or by mail. Send registration fee with your license number and email address or phone number to: CSGP 2672 Bayshore Parkway suite 618, Mountain View, Ca. Presenters: Nancy Wesson, Ph.D., Nancy Morgan, Ph.D. This course will increase the knowledge and skill level of psychologists who lead or who are planning to lead a psychotherapy group. 9:30 A.M-10:00 A.M.Introduction and discussion of the therapeutic benefits of group psychotherapy in diverse settings. 10:00 A.M.-10:30 A.M. Advantages and Disadvantages of different types of psychotherapy groups. 10:30-11:00 A.M. Psychoeducational groups in HMO, private practice, inpatient, residential, and private practice settings. 11:00-11:30 A.M. Selection, screening, and preparation of clients for group psychotherapy and psychoeducational groups. 11:45-12:15 P.M. First demonstration group. 12:15-12:30 Debriefing and discussion of the demonstration group. 12:30-1:00 P.M. Maximizing Therapeutic factors in psychotherapy groups in diverse settings. Therapeutic factors as demonstrated in the experiential group. 1:00-2:00 P.M. On your own. 2:00-2:30 Class discussion of clinical dilemmas which arise in group psychotherapy and methods for handling them. 2:30-3:00 P.M. Small group discussion of group psychotherapy vignettes. Case Vignettes distributed for discussion. 3:00-3:30 P.M. Class discussion of group psychotherapy vignette. 4:15-4:30 Debriefing and discussion of the demonstration group. 4:30-4:45 P.M. The overall tasks and roles of the group psychotherapist. 4:45-5:00 P.M. Wrap-up and Evaluation. Holmes,E.,& Kivlighan, Jr.(2000). Comparison of Therapeutic Factors in Group and Individual Treatment Processes. Journal of Counseling Psychology, 4, 478-484. MacKenzie, K.R. (1990). Introduction to time-limited group psychotherapy. Washington DC: American Psychiatric Press. Rice, C., & Rutan, J. (1987). Inpatient group psychotherapy. New York: Macmillan Publishing Company. Wheelan, D. (1997). Group Development and the Practice of Group Psychotherapy. Group Dynamics: Theory, Research, and Practice, 1, 288-293. Yalom, I. (1983). Inpatient group psychotherapy. New York: Basic Books. Yalom, I., & Leszcz, M. (2005). The Theory and practice of group psychotherapy. (5th ed. ), New York: Basic Books. Registration for this event has concluded.